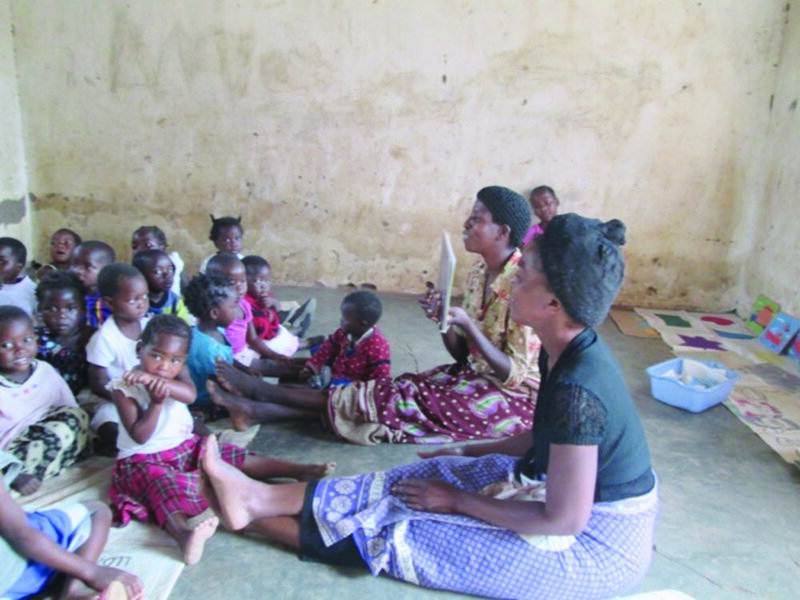 Early Childhood Education in Malawi is not just babysitting for young children in a village. It is the beginning of the road out of poverty and disease which leads to higher education and healthier children and communities! Our SAFE sponsored Community Based Childcare Centers (CBCCs) are holistic and strive to address the needs of the whole child cognitively, socially, physically and spiritually. The children are fed so they will be protected from malnutrition. 53% of Malawi's children under 5 have stunted growth due to malnutrition--the 5th highest rate in the world. Good teachers are always the key to good outcomes for children at school. All our village caregivers (preschool teachers) are carefully selected and go through a 12-day training with quarterly in-service training and monthly monitoring. They are paid a small allowance which makes our CBCCs more stable and sustainable. Besides getting a foundation for math and literacy, the children are provided with many active learning experiences. Brain development is encouraged with imaginative play, music and learning centers that use locally sourced materials. SAFE has been a part of the development of Early Childhood Development training in Malawi from the very beginning. While teaching at Chancellor College, Charlotte Day began a preschool on campus to give her students a "preschool lab" where they could practice teaching young children. 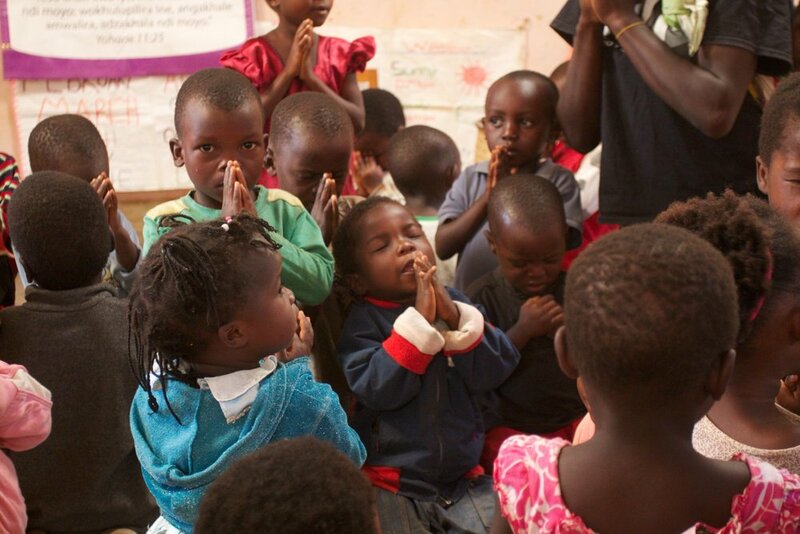 Later she began one of Malawi's first Community Based Childcare Centers (CBCC) at Makungula Village in Zomba. A Community Based Childcare Center often begins under a tree or in a temporary structure the village provides. But it is wonderful collaboration when the village makes the thousands of bricks needed for a building and provides the labor -- then donors provide funds for the rest of the materials. Working together we provide a safe place for the little children to gather, be fed and to learn. After we discovered the gogos (grandmothers) bringing their orphaned grandchildren to the CBCCs, we began a ministry to assist them called, Gogo Grandmothers. This program is active in all of our sponsored villages. There is a strong connection between the gogos in a village and the children in a village CBCC. Because of sponsors and donors, gogos are provided with seed and fertilizer to help insure a better harvest of maize. At harvest time, the gogos joyfully give a portion of their harvest to the CBCCs. Some gogos also help as cooks and story tellers for the CBCCs. We invite you to receive our "KERNELS from the Maize Bag" e-newsletter. In pictures and words you will be inspired and blessed by latest Gogo Grandmothers news from Malawi, Africa. KERNELS comes to your inbox at the beginning of each month. THANK YOU for signing up to receive on monthly KERNELS from the Maize Bag newsletter. In pictures and words you will find inspiration and latest news from the work of Gogo Grandmothers in Malawi, Africa. it is sent at the beginning of each month.